Inktober for October 7th – Showing inks old and new. Here’s a drop panel from a Sally Forth Sunday page showing Sally as a little kid watching her favorite cartoon – Starlee and the Moonbeams. Part of the Trystero Comic Con storyline Francesco Marciuliano and I did this past summer. 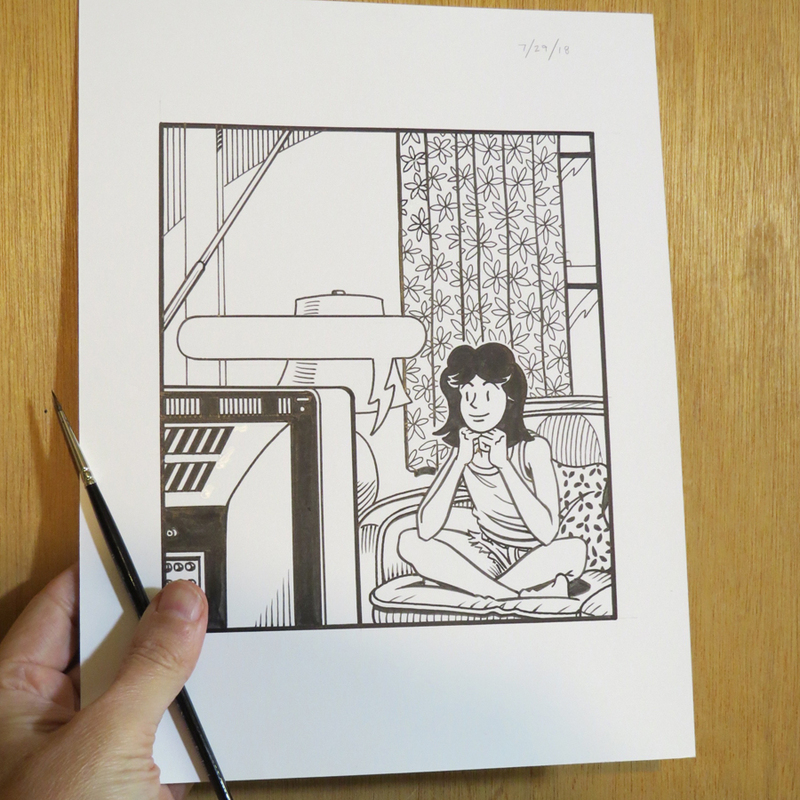 This entry was posted in Sally Forth and tagged Inktober, Pen and Ink. Bookmark the permalink.